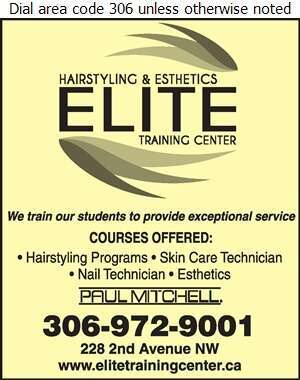 Elite Hairstyling & Esthetics Training Center offers a facility with the most up to date equipment, curriculums & information in a modern setting. Elite offers a full retail bar, service salon, color bar, classroom, pedicure & manicure bar & full esthetics training area. Our College provides classes in Hairstyling and Esthetics with hands on learning experience. At Elite, our journeymen instructors are fully trained in their specialty areas with years of experience in the field. You can start your career working in a salon, movie sets, photo shoots, the spa industry, on cruise ships, as a make-up artist, & much more! We look forward to having you train with Elite & starting you off in an exciting career! We are also a full service salon so call us today for a treatment.